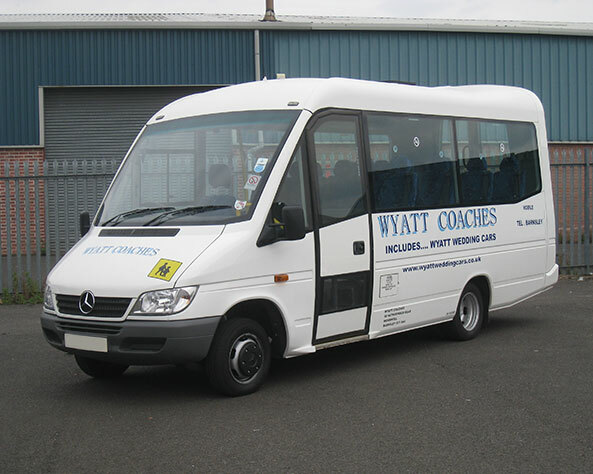 Our extensive selection of minibus sizes here at Wyatt Coaches have allowed us to provide an efficient hire service throughout the Barnsley, Doncaster and Sheffield areas for years. Our fleet can cater to groups of up to 16 people, making our minibus hire services a cost effective alternative to public transport for larger groups. What’s more, our modern vehicles can accommodate several wheelchairs, allowing us to provide comfortable and safe travel to people of all needs. 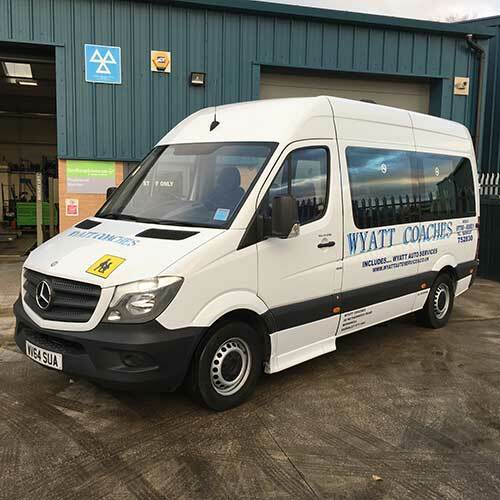 We prioritise safe travel here at Wyatt Coaches, and that’s why our vehicles undergo rigorous inspections on a frequent basis in order to ensure they consistently meet all safety regulations. With three point seat belts, high back seats and easy access with a low step and grab rail, you can rest assured that your journey with us will deliver you safely and on time, no matter where your destination may be. 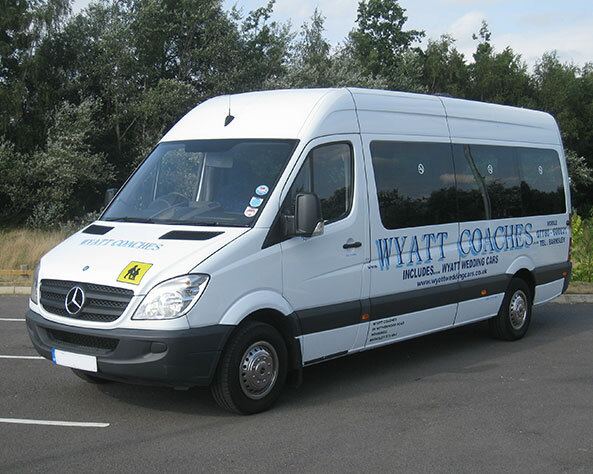 Our 16 seater minibus is the largest vehicle in our fleet here at Wyatt Coaches, providing the ultimate transport method for a large party. 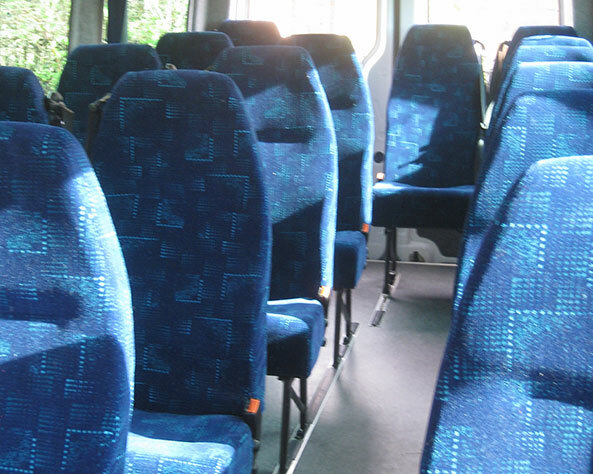 With public transport rates at a constant high, and the stress of organising a large group of people, our 16 seater minibus hire provides you and your friends or family with a cost effective method of travel, allowing you to arrive at your destination comfortably and on time together. We have a wide selection of minibus options to suit a range of group sizes, however, so we’re sure to have something to suit your requirements. To find out more, get in touch with our friendly team today. 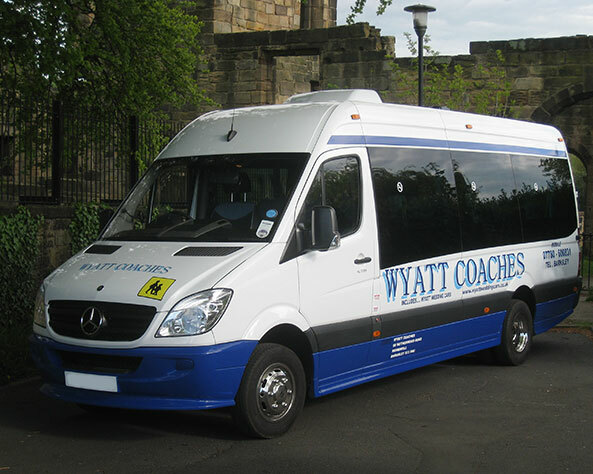 An executive specification coach with a 16 seater passenger capacity. Many of the seats onboard individually recline for the ultimate in comfort and the vehicle is fitted with air conditioning for a temperate journey throughout – ideal for longer journeys. With a Freeview and DVD system installed, you can be entertained throughout your trip too. And if you’d like the luxury of a team meeting or a meal together, there are two tables situated on-board. LULU also has a superboot so you don’t have to worry about travelling light. 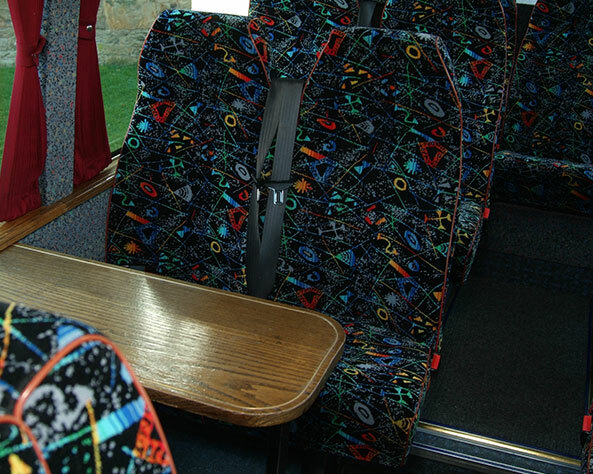 This coach can accommodate up to 16 passengers, with luxury high back moquette reclining seats which are ideal for night-time journeys where an opportunity for shut eye is most sought after. This coach includes a DVD system and additional Freeview for on-board entertainment, and a superboot for large luggage. We recommend Sammy for long distance day time travel, for example a coastal coach tour, due to its inclusive on-board entertainment. With 16 luxury seats on board KATIE, you can be sure to travel in style and comfort. KATIE coach is built with safety in mind; the 3 point belt system features on all seats and there is a low step and grab handles to assist you with boarding. On board entertainment includes a DVD system and Freeview, ideal for long journeys to entertain your passengers. XL can accommodate up to 16 people and has an on-board table for lunch or for corporate travel, impromptu team meetings. There is a sizeable boot for luggage in addition to your on-board bags. 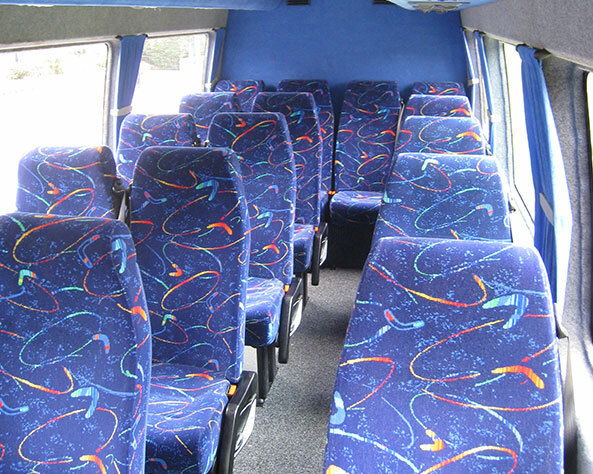 BILLY can accommodate up to 16 passengers in luxury moquette seats. It also has a table on board for any kind of team meeting, meals or perhaps just a social place for a refreshing drink and a chat. In addition to the table, the MS encompasses an on-board DVD system to keep your passengers entertained. The Twins Dizzy and DeeDee can comfortably accommodate 16 passengers, but unlike our other coaches, they are designed specifically for users with disabilities or a lack of mobility which requires a wheelchair. The Twins has space for up to 6 wheelchairs. And with safety in mind, it has 3 point wheelchair fixings so you don’t have to compromise on safety, meaning every passenger can expect a comfortable and safe journey. There is a power door and a wheelchair lift for accessibility. We’d be happy to provide more information about these or any of our other coaches over the phone. The Trekka can comfortably accommodate 16 passengers, but unlike our other coaches, they are designed specifically for users with disabilities or a lack of mobility which requires a wheelchair. The Trekka has space for up to 6 wheelchairs. And with safety in mind, it has 3 point wheelchair fixings so you don’t have to compromise on safety, meaning every passenger can expect a comfortable and safe journey. There is a power door and a wheelchair lift for accessibility. The Louiza has space for 2 wheelchairs on board with a 3 point belt system to ensure safety of all passengers. In addition to the wheelchair space, the M3 boasts 16 luxury high back seats. With low step and grab handles, getting on and off safely will not be a problem. Sue is the smallest coach of our fleet but never fails to deliver the same luxury experience. Able to accommodate up to 8 passengers in a spacious interior with the 3 point belt system for all on-board, you can be sure of a safe onwards journey. Sue has overhead storage with forced air for the comfort of all passengers and with a low step and grab handles, getting on and off couldn’t be easier. Equipped with an extra-large boot so storage of luggage is easily accommodated. For more information, speak to our team today.